imes - CMS GAS ENGINE COMBUSTION MONITORING SYSTEM. CCM GAS ENGINE COMBUSTION CONTROL SYSTEM. CCM Gas Engine is a modern multi cylinder data acquisition system for advanced engine balancing on gas and dual fuel engines. 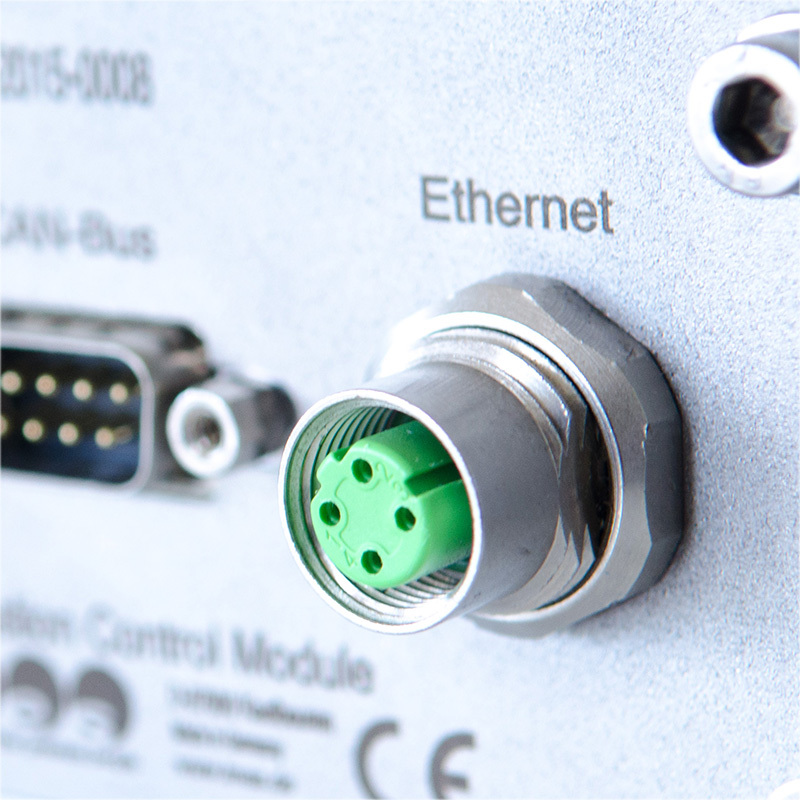 The quick data acquisition and recent visualisation software enables extensive analysis about engine performance. Higher outputs with lower NOx emissions can be attained in high efficiency gas engines, combustion knocking can be detected and evaluated and misfiring from over-lean mixtures avoided. IMES offers CCM Gas Engine control and CCM Gas Engine portable. CCM Gas Engine control is designed for pressure control in a closed loop system. It enables continuously cylinder balancing to increase the engine operating stability and to keep the peak cylinder pressures at a suitable level. Combustion knock can be realised and operating parameters can be adjusted immediately. The misfire detection prevents incomplete combustion which makes the engine unstable and decreases the efficiency. 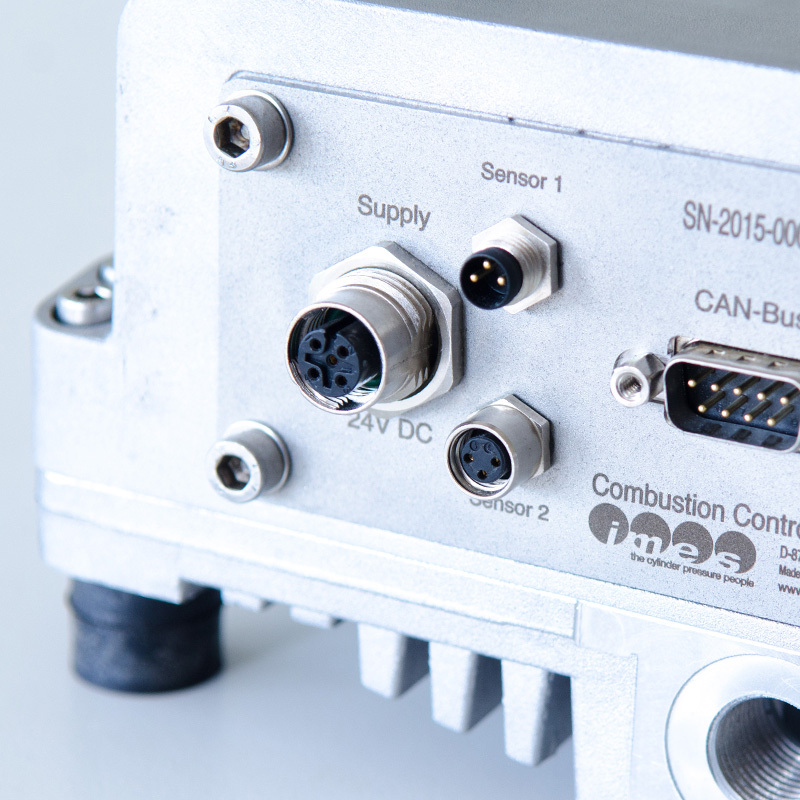 When knocking or misfiring is detected the data will be transmitted from CCM by CAN bus to the automation system which acts to stabilise engine operation. Optimising engine settings to improve combustion, thus minimising gas consumption and NOx emissions, based on cylinder pressure readings will become increasingly important to meet IMO Tier III emissions limits in Emissions Control Areas (ECAs). CCM Gas Engine portable is a comprehensive system which can be rapidly installed onsite to enable acquisition of cylinder pressure data on spark ignited- and dual fuel engines. This new system allows an easy and accurate adjustment of the existing vibration knock detect system. 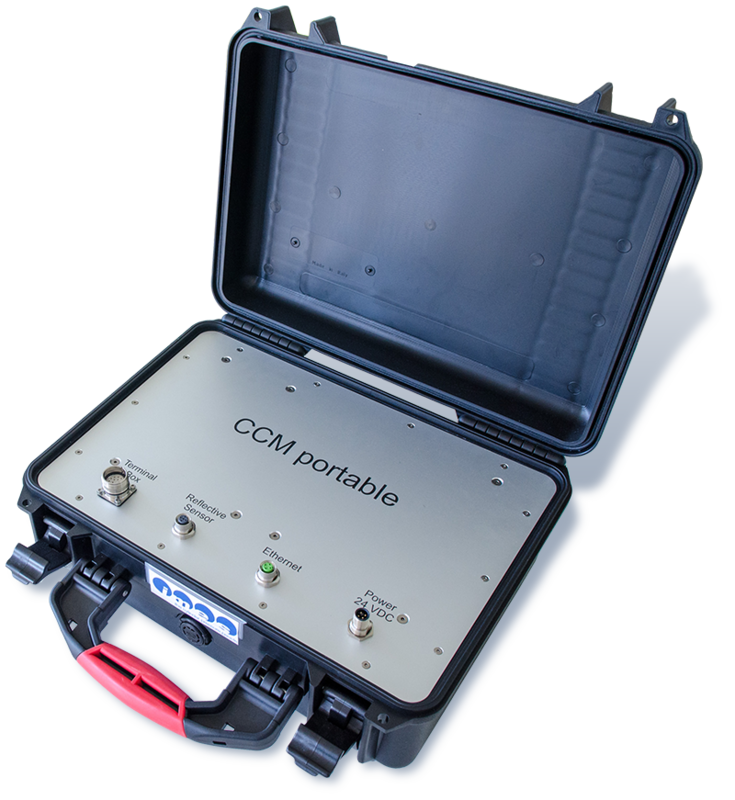 The CCM Gas portable combustion control module (CCM) monitors and analysis up to 20 cylinders, measuring knock intensity and misfiring of each cylinder. Information on knock intensity is used to adjust the engine combustion parameters. An optimal adjusted engine enables extensive savings in gas consumption and reduces wear and tear in the engine and NOx emissions.